Paris taxpayers will have to bail out the French capital’s Vélib’ bike hire scheme after 8,000 of the cycles have been stolen and 18,000 deemed beyond repair as a result of vandalism or mechanical failure. Launched on July 15 2007, the Vélib’ scheme was widely celebrated as a way of encouraging residents of Paris to make more journeys by bicycle. The scheme caught the attention of Mayor of London Boris Johnson, who put into place plans to start a similar scheme in London in May 2010. On one level, the Vélib’ scheme has worked admirably, with 61 million cycle journeys having taken place since July 2007. However, alarm bells must now be ringing in the Mayor’s Transport for London (TfL) office at the escalating costs and difficulties of the Paris scheme. Originally the Vélib’ scheme was funded and operated by street advertising firm JCDecaux, who in return were given extra advertising space in and around Paris as a payback. Now Paris authorities have agreed to share the burden of replacing and repairing damaged bikes and will give some of the profits from the scheme to JCDecaux. In London, the cycle hire scheme will be operated by Serco, who have been charged with starting up the capital’s scheme for six years to the tune of £140 million, according to the Evening Standard. A total of 6,000 bikes will be available to hire at 400 docking points throughout London, with shorter journeys being free or cheap and longer journeys more expensive. 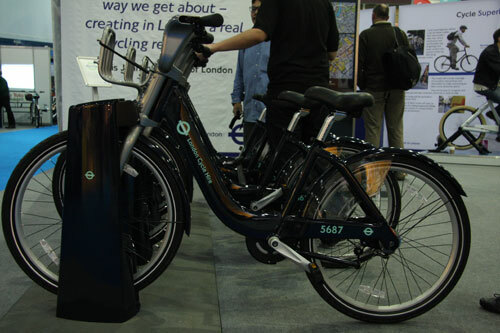 In October, Cycling Weekly had a spin on one of the London hire bikes at the Cycle 2009 show in Earls Court, and we also spoke to the Mayor’s transport advisor, Kulveer Ranger about the problem of cycle theft and mechanical longevity. Feburary 2009: Are the wheels falling off the Vélib scheme?